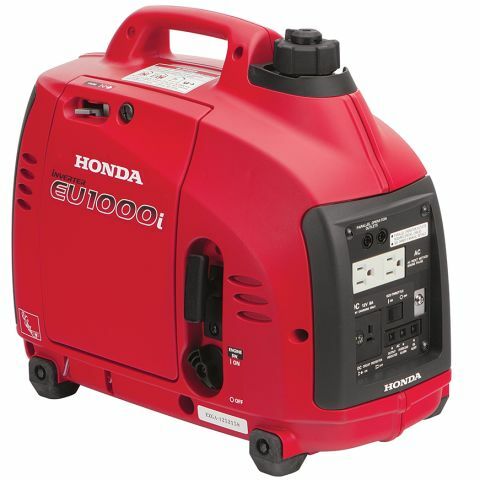 This little generator is the perfect answer when you need enough clean power to run a small appliance or power tool. Quiet as a conversation and extremely fuel efficient, the Honda 1KW generator runs up to 8.3 hours on a single tank of fuel. This little generator is the perfect answer when you need enough clean power to run a small appliance or power tool. Quiet as a conversation and extremely fuel efficient, the Honda 1KW generator runs up to 8.3 hours on a single tank of fuel. And, because it features inverter technology, the power stream is clean and reliable enough to safely run sensitive technology equipment. 1000 watts doesn't quite cover your needs? No problem -- you can run two of these little units in parallel to reach 2KW!